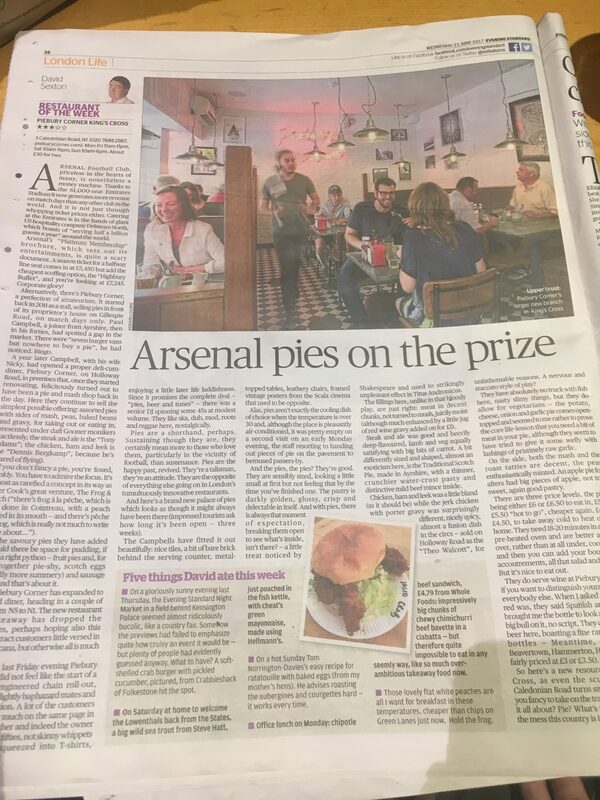 We are immensely proud to receive such a witty, superb, detailed, accurate review from David Sexton written for the Evening Standard, especially as it is was published on what will go down in the history books as the hottest day in June ever recorded. 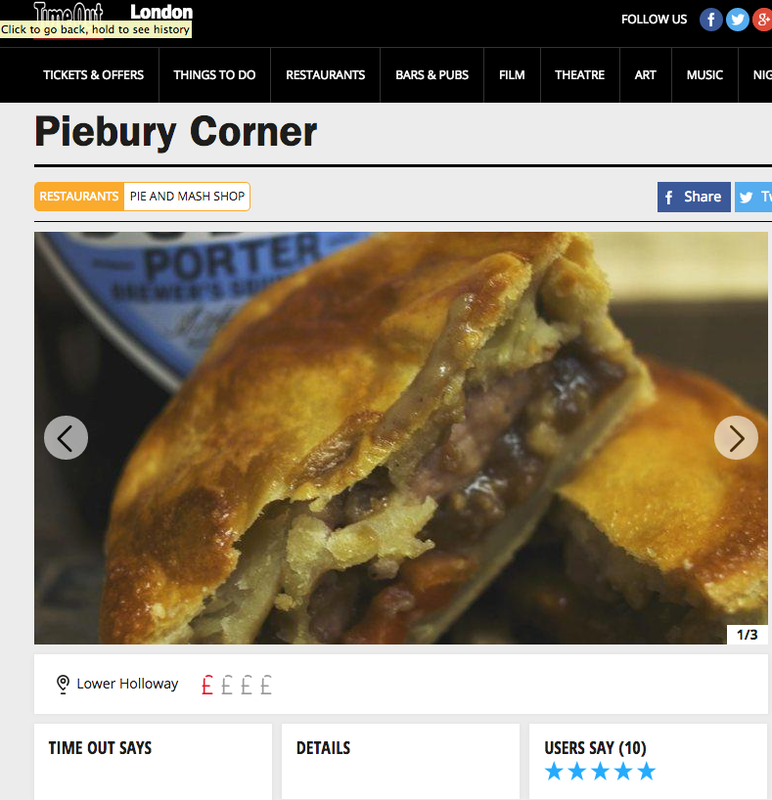 We have introduced Japanese, Indian and Australian tourist to the New British Pie today alongside local workers and commuters. 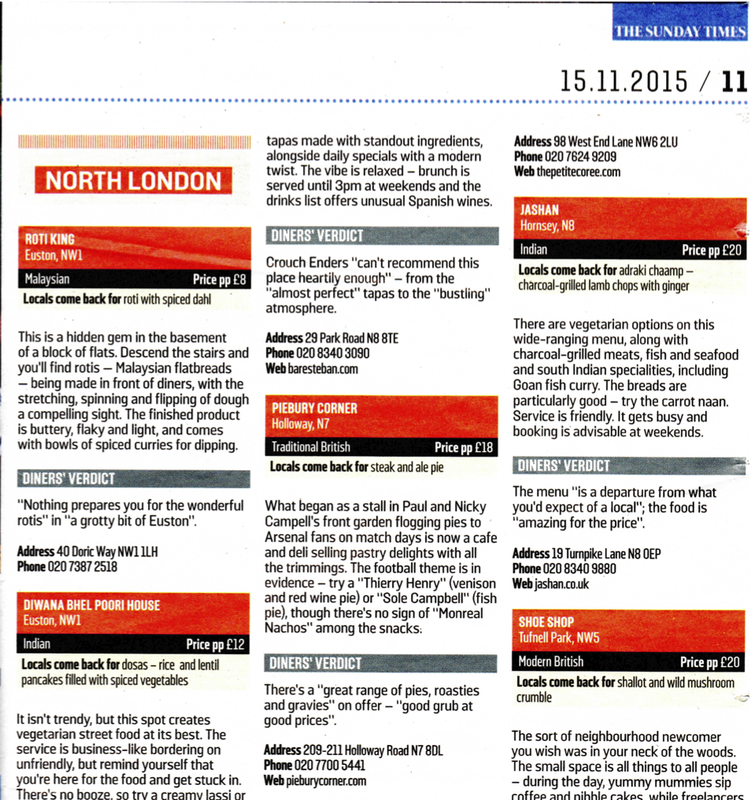 So thank you David for writing such a detailed accurate review, you’re welcome back anytime! 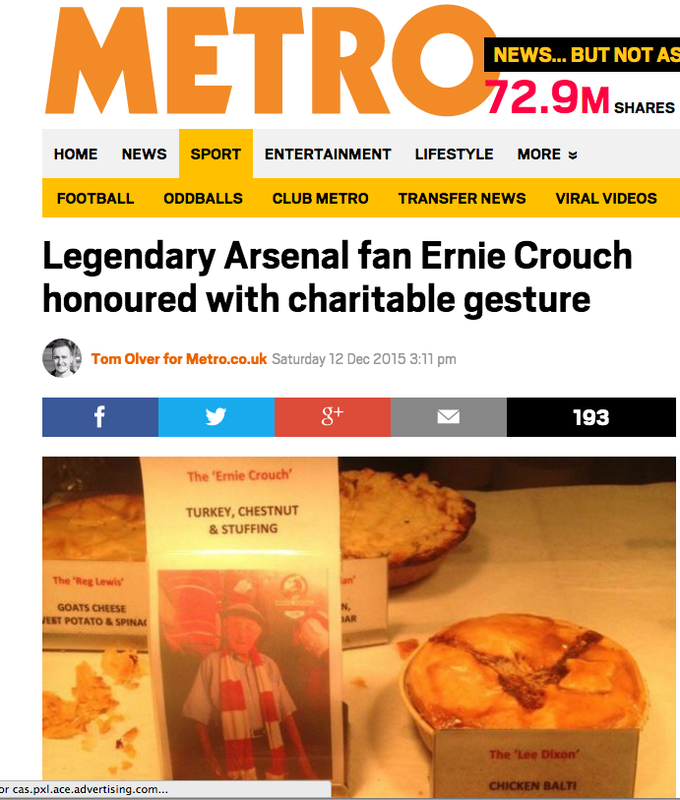 We’re honoured to receive your recognition of our bakers consistently “darkly golden, glossy, crisp and delectable” pastry. 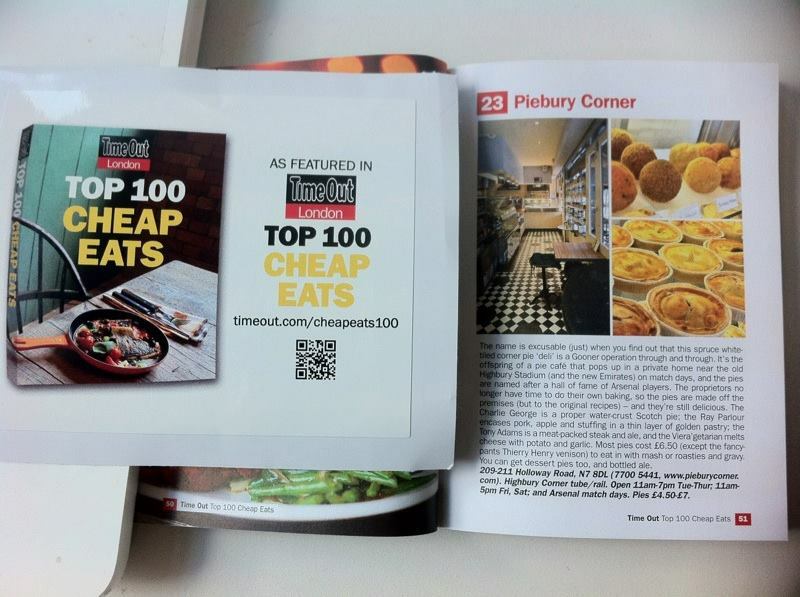 Just do us a favour next time and let us know your coming so we can introduce ourselves personally! 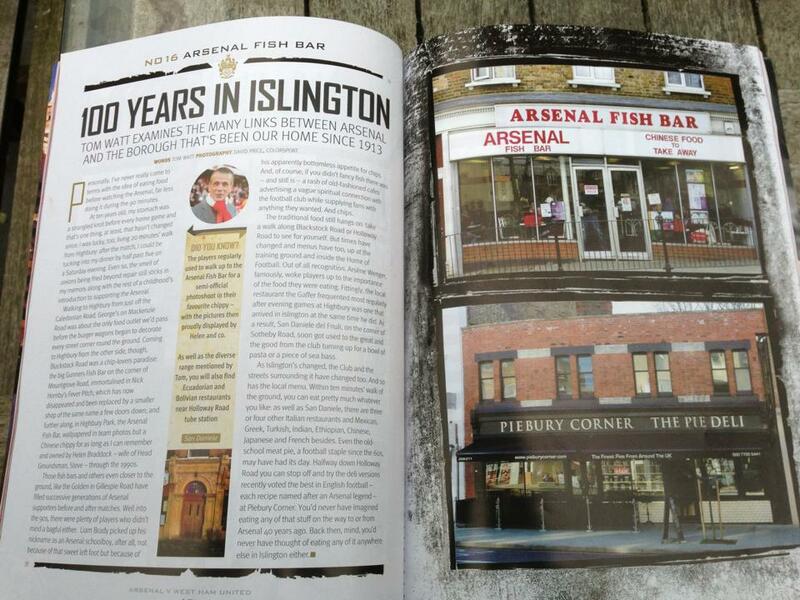 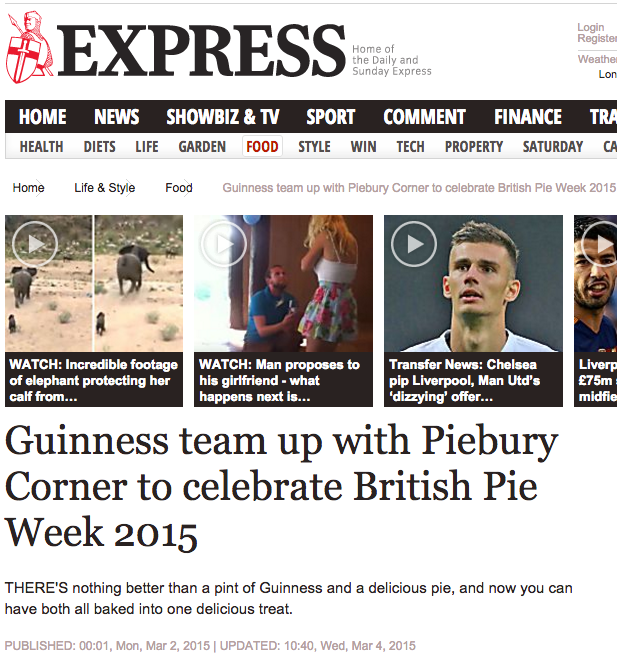 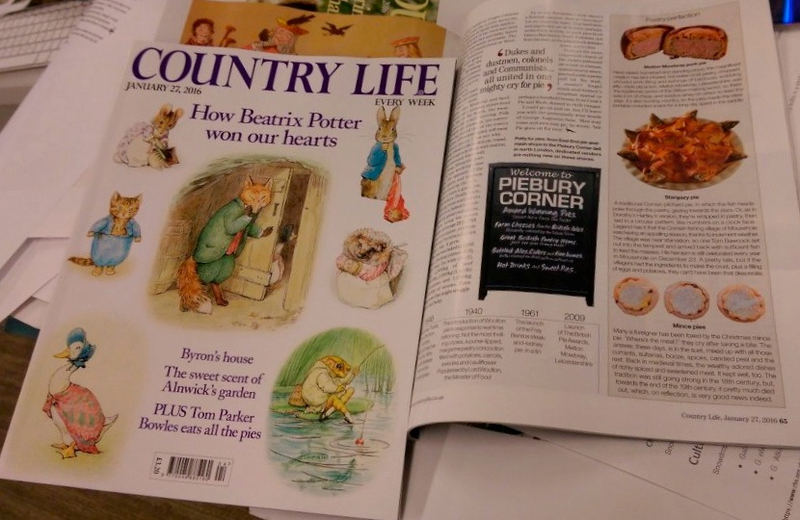 Piebury Corner are mentioned in an article in Country Life Magazine giving homage to the Great British Pie. 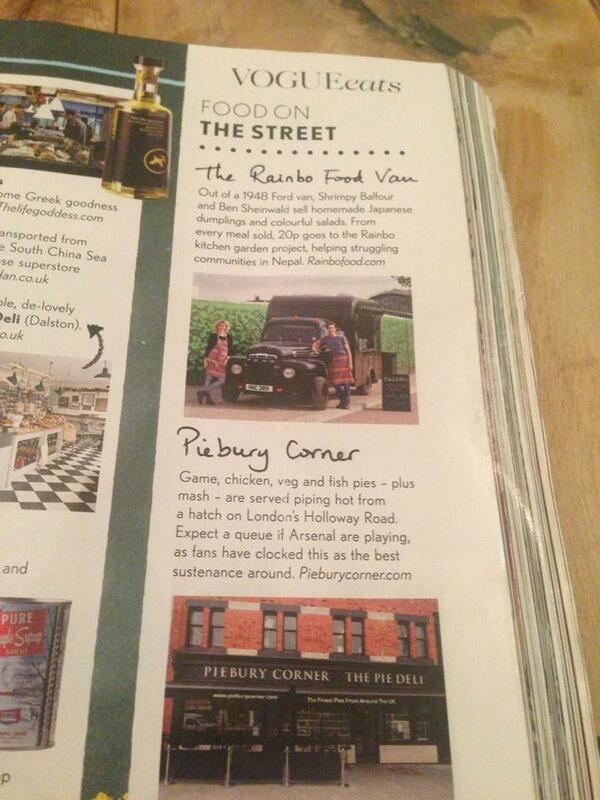 Piebury Corner is named as one of the best places to eat in North London. 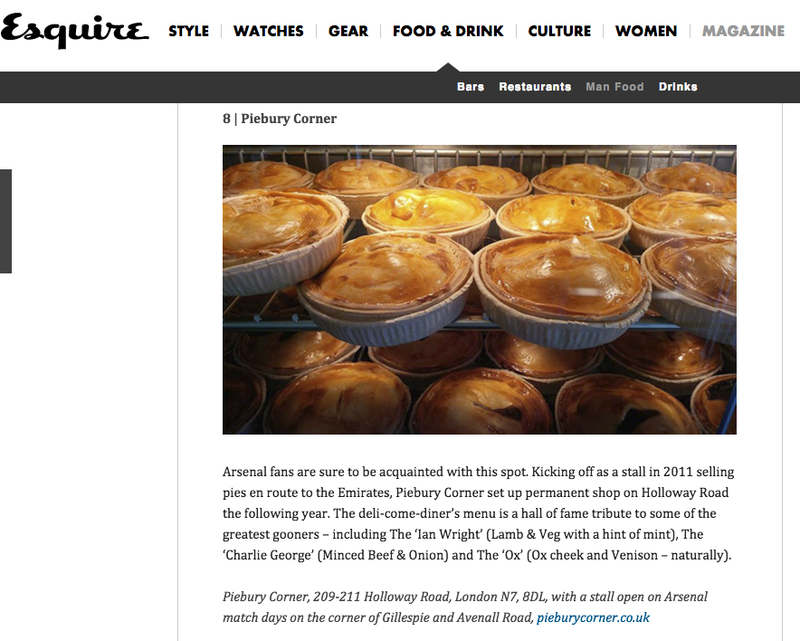 Esquire magazine name us as one of London’s Best Pie Joints.